Our philosophy at Dreesen's Catering regarding food is keep it local, simple and homemade! It starts with our prime meats, which are butchered by Rudy on site in our new commercial kitchen and ends with a long list of local farmers, fishermen and vendors who provide us with the best of what the East End has to offer. We proudly serve prime meats, freshly ground beef for burgers, homemade stocks, soups, hand made hors d'oevres, a multitude of baked goods and so much more. We have strong roots in the East Hampton community and believe giving back is an integral part of our life and business. 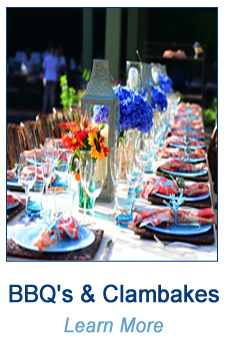 Dreesen’s Catering is a proud provider of East Hampton Meals on Wheels. We also lend support to many local charities and organizations, including Project Most, East Hampton Food Pantry, East Hampton Junior Lifeguard Program, Eleanor Whitmore Early Childhood Center, East Hampton Rotary, Katie's Courage, the East Hampton Union Free School District, our local churches, LVIS and many more. Dreesen's Catering is licensed and insured- we are approved by the Suffolk County Health Department (Permit PT0000663) for off-premise catering. We are covered by Commercial Liability Insurance and Workers Compensation policies. 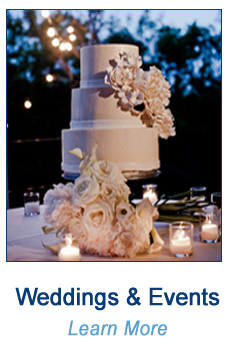 Whether an intimate dinner party, a cocktail party, BBQ or Clambake, or a larger wedding or fundraiser- we look forward to seeing you at your next special event!